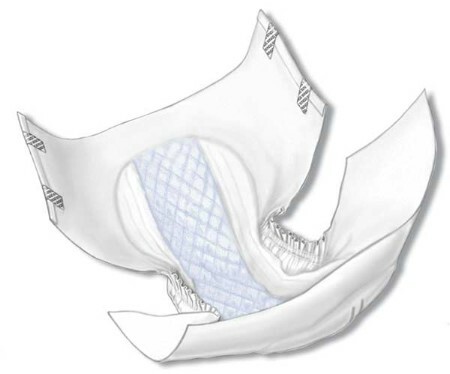 Extra soft, breathable stay-dry facing enhances patient comfort. Moisture-proof backing and elastic leg gathers provide superior protection. Wetness indicator and refasten able tape tabs. Contains Poly-Fresh™ super absorbent polymer for extra dryness and odor control. Contoured Briefs, Narrow Mat, for moderate incontinence.